I have received numerous phone calls from the media requesting information on a clown sighting in Augusta County. I figured it would be easiest to distribute this information to everyone at the same time. On Saturday, September 24, 2016, the Augusta County Sheriff’s Office received a call for service regarding a clown sighting in the 100 block of River Bend Road in Fort Defiance. Deputies were dispatched to the area at 9:02 p.m. and were on location at 9:10 p.m., but were unable to locate any one dressed as clowns. The call was placed by a citizen that was in the area fishing with his children. The male was approached by two separate vehicles leaving the area at a high rate of speed. Both vehicles stopped to warn him that several people in the adjacent woodland area were dressed up as clowns. According to the caller, the people leaving the area were pretty upset over the clown sightings. I would like to make the citizens of Augusta County aware of the VA Code Section 18.2-422 which prohibits a person over 16 years of age from wearing a mask, hood, or other device to cover or conceal the identity of the wearer. A violation of this code section is a Class 6 felony. A Class 6 felony is punishable by one to five years of incarceration and a fine of not more than $2500. Either or both may apply if convicted of this offense. “This is a growing problem across the commonwealth. Please do NOT engage in this illegal behavior. Dressing as a clown and approaching people can result in someone getting seriously hurt. I strongly recommend not to engage in this behavior and want everyone to be aware of the Va. law which prohibits this behavior,” said Sheriff Donald Smith. RICHMOND, Va. — The Virginia State Police Help Eliminate Auto Theft (HEAT) program honored the 2015-2016 HEAT Awards recipients at the annual conferences of the Virginia Sheriffs’ Association in Tysons Corner on Sept. 13 and the Virginia Association of Chiefs of Police in Roanoke on Sept. 19. The HEAT Awards program is an annual competition open to all Virginia law enforcement entities and employees who work in auto theft enforcement and prevention. Nominees must demonstrate excellence in at least two of the following four categories: enforcement, intelligence gathering, prevention and recovery. Auto thefts in Virginia have declined 62 percent since 1992, but there was a 7.2 percent increase from 2014-2015. The complete list of HEAT Awards recipients is below. To learn more about HEAT Awards, visit HEATreward.com/resources/default.aspx. The HEAT program was established in 1992 to educate citizens and law enforcement about theft of vehicles and vehicle parts. HEAT supports local and state law enforcement through various auto theft prevention efforts. For more information, visit HEATreward.com. Visit Virginia State Police online at www.vsp.virginia.gov. The Staunton Police Department is asking the public’s assistance in locating Tre Dachion Scott. On September 16, 2016, at approximately 1 a.m., a Staunton Police Officer conducted a traffic stop on a vehicle driven by Mr. Scott. After being stopped Mr. Scott assaulted the officer and took off on foot. Anyone with information regarding the whereabouts of Mr. Scott is asked to call either the Staunton Police Department at 540-332-3842 or Crimestoppers at 1-800-322-2017. The Charlottesville Fire Department was investigating a reported underground explosion of a transformer owned by Dominion on the Downtown Mall. The fire chief says there was no fire or smoke, and no injuries from the reported explosion near the Downtown Mall between 3rd Street and Water Street. “We are still investigation reports of an explosion on the street. There’s no fire at this time, there’s no smoke. We are waiting on Dominion Power to arrive and assist us with the investigation,” said Chief Mike Johnson. Johnson says the damage was contained to the underground transformer. The situation has been turned over to Dominion. Charlottesville, VA – On September 18, 2016 at 8:14 pm, units from the Charlottesville Fire Department responded for a reported explosion in the area of E. Main St. and 3rd St. near the City’s Downtown Mall. Upon arrival, it was determined that the noise was the result of malfunction of an underground electrical transformer. There was no fire but some residual smoke and liquid was noted around the ground-level grate area. The liquid was confirmed to be mineral oil from the transformer. After it was determined that no fire emergency existed, the situation was turned over to representatives of Dominion Virginia Power. Charlottesville Fire units cleared the scene at 9:15 pm. For additional information regarding electrical transformers, please contact Dominion Virginia Power. A Prince William County police officer has been arrested and charged in a domestic assault, police said. Police were called to investigate a domestic assault at a house on the 15500 block of Laurel Ridge Road in Montclair around 11 p.m. Tuesday, Sept. 13, Prince William police spokesman Sgt. Jonathan Perok said in a news release. A 51-year-old woman told police that she and Robert Edward Donnan were involved in an argument when Donnan assaulted her, causing minor injuries, Perok said in the news release. Donnan, a sworn police officer in the Prince William County police department, was arrested, police said. Donnan has been reassigned to an administrative position and his police powers have been suspended pending the results of an internal investigation, Perok said in the news release. Donnan, 40, of the 15500 block of Laurel Ridge Road, was arrested and charged with domestic assault and battery. He was released on a $6,000 unsecured bond. Waynesboro police now have three people in custody on various charges, along with 16 ounces of methamphetamine. Investigators got a warrant and searched two apartments at 720 King Avenue Wednesday, September 14. Authorities say they found about $45,000 worth of methamphetamine during those searches. 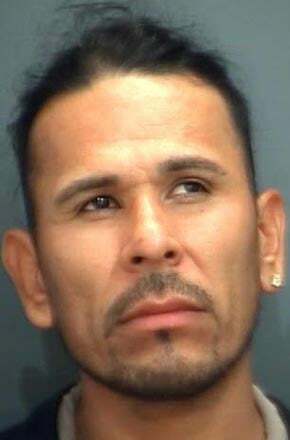 Forty-one-year-old Guadalupa Chavez-Loya is charged with distribution of methamphetamine while engaged in an ongoing criminal enterprise, and possession with intent to distribute. 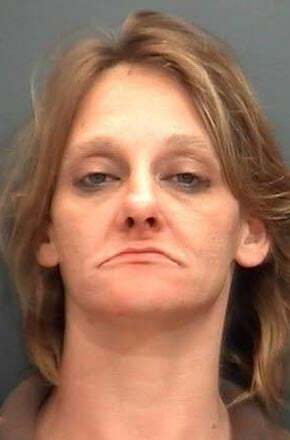 Authorities also charged 37-year-old Linda Brazee Hernandez with distribution of methamphetamine while engaged in an ongoing criminal enterprise. 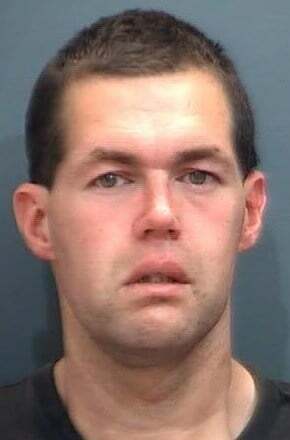 Thirty-three-year-old Mathew Wayne Wells was arrested for failing to appear in court, as well as circuit court capias. Police are still investigating the three as a part of a suspected drug organization. An ongoing narcotics investigation led the Skyline Narcotics Task Force to the execution of simultaneous search warrants at two separate apartments located at 720 King Avenue late last night. Subsequent to serving those search warrants, just over sixteen ounces of methamphetamine was seized with a street value of $45,000. In addition, $43,044 in U.S. Currency and a 2006 Chevrolet Impala valued at $3,500 were also seized as illegal proceeds from drug sales. 1. Circuit court capias, Waynesboro. The trial for a Culpeper man accused of gunning down a man inside a Charlottesville home is moving forward. Jordan Jerome Eaddy appeared in Cville Circuit Court Thursday, September 15. He confirmed he is not waving his right to speedy trial, and will face a jury for three days starting November 28. Eaddy is charged with first-degree murder in connection with a home invasion and fatal shooting on South 1st Street on November 21, 2015. Investigators believe Eaddy killed 31-year-old Floyd Alston Jr. during a robbery that went wrong. Police say a woman and a small child were in the apartment during the shooting, but they were not harmed. Charlottesville police had also charged Eaddy with attempted robbery, as well breaking and entering. Prince William County police are investigating a sexual assault reported at a Manassas area hotel. Police were called to the Wyndham Garden Hotel at 10800 Vandor Lane around 6:30 a.m. Thursday, Sept. 15, Prince William police spokesman Nathan Probus said in a news release. A 63-year-old woman visiting the area from overseas told police that she was sleeping inside her hotel room when “she woke to an unknown man inappropriately touching her,” police said in the news release. The woman screamed and the suspect fled the room, police said. No injuries were reported. Police searched the hotel but did not locate the suspect, police said. There were no signs of forced entry to the hotel room. The suspect is described as a white, Hispanic or Middle-Eastern man, between 30 and 40 years old, 5 feet, 9 inches to 5 feet, 10 inches tall, with short black or dark brown crew-cut hair, a closely shaven beard and arched eyebrows. He was last seen wearing a shirt of an unknown color, blue shorts and a dark-colored watch. Anyone with information regarding about case is asked to contact Prince William County Crime Solvers by calling 1-866-411-TIPS, texting “PWC” plus your information to 274637, or submitting a tip online atwww.pwccrimesolvers.org/webtips. Tipsters remain anonymous & could earn up to a $1,000 reward. ALBEMARLE COUNTY, Va. (WVIR) – A new cake pop business in Albemarle County is ending its first summer on a sweet note. The CEO might surprise you by both her age and her knowledge. NBC29 caught up with 12-year-old Ally Miller who just launched a cake pop business. In her first four months, the CEO who also happens to be the head chef, sold about 1,500 hundred pops. Each cake pop costs $2 to $3 depending on the design. Perk Up at Piedmont Virginia Community College is one of two coffee shops selling Pop Art by Ally, but the CEO and founder is far from college bound. “People are really surprised because I’m so young,” said Miller. To make a pop, you bake a cake, and then roll it up into a ball on a stick. After that, one by one, you dip them into candy melt. Miller launched pop art 4 months ago, but it didn’t take her long to master the technique. Ally’s dad Scott Miller says she has always had a passion for baking. “That passion sort of got out of hand at one point, and before you knew it we were in business,” said Scott Miller. From start to finish, a batch of 40 cake pops takes about 5 hours. Because they are such a specialized product, they are getting shipment requests from all over the country, including Florida, New York and Boston. “it started out with family friends and then when we made the website, people started seeing it that we didn’t know,” said Ally Miller. People started requesting everything from Pokémon balls, to puppies, to apples and to beer mugs. But the middle schooler has about nine years left before she can consume any beer that isn’t in the form of cake pops. Her favorite custom design is frogs. Ally does have homework to do now that school started, but she says she will be making and selling the custom cake pops year round.